If you are one of those people who are still washing your clothes in warm or hot water, you are with the majority. The truth is that even though there are numerous benefits to washing clothes in cold water, the practice has largely gotten a bad name. In fact, for a fair number of reasons, you would be better serving yourself, not to mention the world, by washing your laundry in cold water. 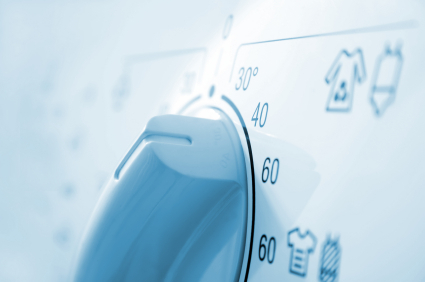 Studies have shown that more than 60 percent of all Americans wash their clothes in warm or hot water. That’s a lot of laundry, to be sure, but when you come right down to it, laundry washed in warm or hot water isn’t benefiting you or anyone else nearly as much as you might think. First of all, roughly 75 percent of the energy required to wash a load of laundry is expended in heating the water. That’s a lot of energy spent that will only end up going out the drain. By contrast, not only does using cold water use less energy, but it’s also better on your clothes. Further, by using only cold water for your wash, you save more than $60 annually on your utility bill. If you happen to have a lot of money to throw around, that’s fine, so if you need another reason to convert to cold water in your wash, try this one: your clothes will look better and last far longer if you wash in cold water as opposed to warm or hot. This is because hot and warm water break the fibers of clothes down, which makes them worn looking far sooner than cold water. This does present the issue of the effectiveness of detergents, since most of today’s detergents are made to perform better in warm and hot water. The solution to this is obviously to wash your clothes in cold water, and for extra dirty clothes that you used to trust to your hot and warm water, simply pretreat them before you put them in the washer. Your clothes will thank you for it, as will the environment. This entry was posted	on Wednesday, February 17th, 2016 at 8:27 pm	and is filed under Main. You can follow any responses to this entry through the RSS 2.0 feed. You can leave a response, or trackback from your own site.